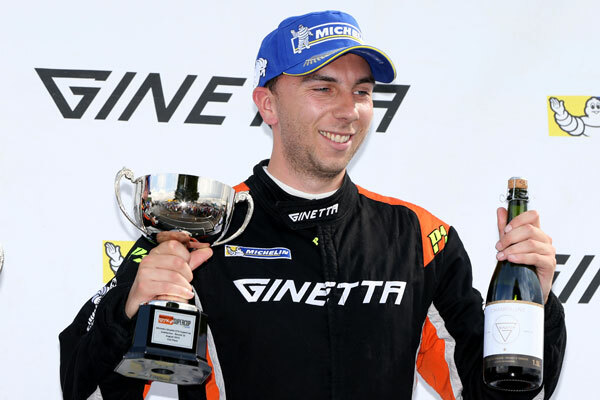 Century Motorsport came to Snetterton fresh off the back of a positive pre-event test at the Norfolk venue and looking to maximise the developments they had made to their Ginetta G55. The team’s sole entrant Tom Oliphant made the most of the improvements to his car placing himself inside the top three for both of Friday’s free practice sessions. Carrying this form into Saturday morning, Oliphant placed his car in third for the afternoon’s opening race of the weekend. Looking like he was going to be one of the main podium challengers this weekend, Tom got a superb start off the line in the opening race. Despite David Pittard heavily defending his second position as the lights went out, Tom quickly found a way past during the opening lap to move into a second. From there he opened a healthy advantage behind race leader Charlie Robertson that he would maintain to the flag and with it, his first podium of the weekend. Starting positions for Sunday morning’s race two were based on the finishing order of race one. Starting on the front row of the grid, Tom couldn’t replicate his strong race one start and dropped back into third. 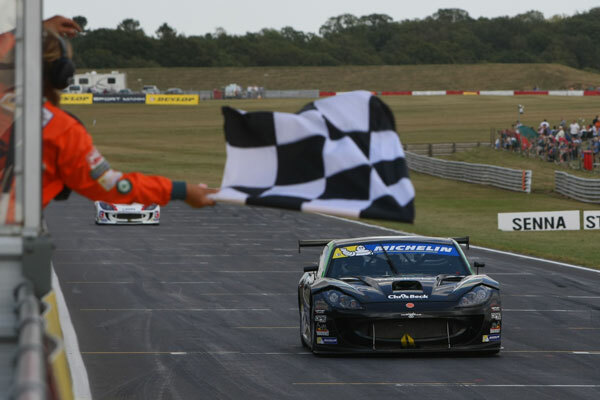 Despite lapping as one of the strongest drivers in the field, Tom was unable to move any further up the order and brought his Ginetta G55 to the flag in third to claim his second podium visit of the weekend. Four was the magic number drawn to reverse the grid for race three which put Tom back in second on the grid. Having enjoyed podiums on both runner-up steps of the podium so far, a clearly confident Tom Oliphant was very much focused on maximising his front row start and turning it into victory. With pole man David Pittard not taking his place on the starting grid, Tom was able to enjoy a lone front row start. Making the most of his getaway, Oliphant had to briefly defend the advances of Carl Breeze before the United Autosport driver made contact with Charlie Robertson and fell down the order. 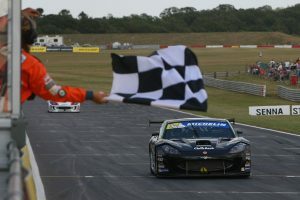 Having opened a slender advantage, Tom looked very much in control of his race leading Ginetta G55. In a race that looked like it was going to be a repeat of the previous two, the action was far from over in the closing laps of the race. Charlie Robertson had been slowly eating into Oliphant’s advantage before an optimistic manovure coming into Nelson corner resulted in him spinning across the grass. Tom’s split second thinking allowed him to just avoid the spinning Robertson and remain in the lead to take his car across the finish line in a magnificent first position.